← Instead of buying a new appliance this black friday, repair your old one! Just because the Summer season is over doesn’t mean you still cannot enjoy tasty, grilled food. With the right food and tools you can enjoy the taste of Summer any time you desire. Meat, chicken, or fish; all of these items are available year-round so you can always have a nice flamed-grilled steak in mid-December just like the one you had at your July 4th BBQ. Certain vegetables might not always be in season but this just gives you an opportunity to experiment with seasonal veggies on the grill. So you’ve bought your stove’s grill top from Let’s Talk Parts , there are other tools you will need to make sure that you have great food. A pair of tongs is always beneficial to save yourself from burns and easy food flipping. You cannot go wrong with a basting brush to glaze that meat with some delicious bbq sauce or reusable metal skewers for some tasty kabobs. 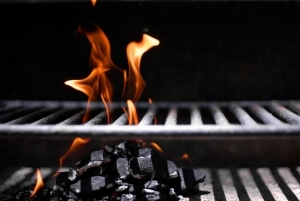 From trusted brands like Viking, DCS, and Alfresco, LTP will keep you grilling all year round. To search or order your parts today, click here. This entry was posted in Blogs and tagged here, Let’s Talk Parts. Bookmark the permalink.